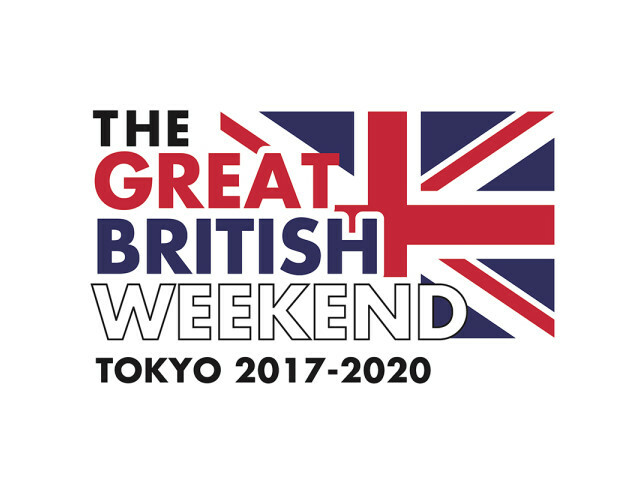 For the first time in Japan, La Ditta Limited will host the largest event of its kind this December - “The Great British Weekend” (GBW), with the support of an array of British companies and brands. Barclays Securities Japan, BBC, Berry Bros. & Rudd, Brewdog, British Pub Hub, British Airways, Economist Intelligence Unit, THE FooTNiK, Hobgoblin, Hunter, Jaguar Land-Rover, Malins, Pocket Change, Radley, Robert Walters, Royal Brown, RSVP Magazine and SI-UK have agreed to participate. The landmark event will be an exciting celebration of all things British and will be a weekend showcasing the best of British culture, music, sport, travel, fashion, automotive, education, business and of course, delicious British food and drink. “The Great British Weekend”, conceptualised by Andrew Williams, the newly appointed Senior Vice President of Sales and Events at La Ditta Limited, will run from Dec 8-10 in the heart of Tokyo in Roppongi Hills, drawing in some 300,000 people, being the peak season for visitors to the venue. The event also coincides with the spectacular Christmas illuminations which attracts large numbers of visitors, over a weekend that will appeal to all age-groups in Tokyo. In keeping with Britain’s strong sporting heritage and with Japan hosting the 2019 Rugby World Cup, there will be various presentations at our event in support of Rugby in Japan. Another key part of “The Great British Weekend” is bringing a charitable element to the event. We will be announcing our partners shortly, but since December is the “month of giving” in Japan, we will be bringing a CSR (Corporate Social Responsibility) angle as well as a new scheme to foster a “giving back culture” in the height of the pre-Christmas season. With over 15,000 British people living in Japan, this is a great opportunity for the British community; businesses and those promoting British products to come together with Japanese people and experience cool Britannia in the heart of Tokyo, at Roppongi Hills! ....and you couldn't pay me to be there. Another exercise in corporate self-gratification. Oh Geoff, such typically British cynicism!Me, I can't wait. It's a long way from Kyushu, true. But I'll be there, flying the flag for dear old Blighty. It'll be absolutely super!!! 15,000 Britons in Japan, but not all in Tokyo. Hankyu department store in Osaka has been holding British Fairs every year for a long time. A good chance to drink whisky, beer and eat proper cheese and cake. It's great fun. Not sure it's worth shuffling along in such a crowd for hours, queuing further just for some decent fish and chips. I crave fish and chips, taste and serving size. And there is no guarantee they will be actual British style anyway. Then there's the crowded trains. Might wait and actually go to Britain, sure the young people will enjoy it. It is The pong after all. Cricky - Malins fish n chips are alright and their battered sausages are good too. If you're in Roppongi they are just across the road from Midtown and they have another place somewhere in Tokyo. They're as good take out chippy style as you'll get here in Tokyo. As a Londoner you can keep your money making scheme aimed at j anglophiles. That's what I love about Tokyo; so many festivals for so many different cultures. The Warrior Celt in Ueno is probably the most authentic if you're looking for British beers. How about featuring one of Britain's greatest exports - the ROLLING STONES at the Budokan? Or Bryan Ferry - he's been on tour this year. Finally got to see him this past March. He's still got it! Sir Paul? Sir Rod or Peter Gabriel? The UK's finest. Yes, that's it exactly. Glad it's not just me. If you have something worth having - and we Brits definitely have something worth banging on about - why do we need to prostitute it this way for all of the Anglophiles here? Bah humbug. If they've got pickled onion Monster Munch, Cheddars and Yorkies I might turn up. we Brits definitely have something worth banging on about - why do we need to prostitute it this way for all of the Anglophiles here? As a veteran of Eikoku-sai '98, these things can be pretty good if they're done well. A good opportunity to promote CANZUK. Aly, interesting, I have never heard of it before! Maybe but at least try the Meguro Tavern, the owner brews his own British style beers and they are very, very good. What's wrong with a festival promoting a certain culture or country? Some of you crabs must have woken up on the wrong side of the bed today. Would be nice if they had a British supermarket there selling groceries at British prices. Well, we can all dream. ASDA owned stores in Japan sold little to improve foods and what was sold was priced higher(higher shipping, etc). What, you think there's anybody out there that doesn't already know about British culture? You don't think having the the largest empire yet for three hundred years or so didn't do the trick? Readers, there is no need to post negative comments on this thread. It makes you look petty. englisc aspyrgend! Good for you mate! Spread the word please. Why are the Hub pubs a sponsor? Owned by a Japanese brewery - they're as British as Mcdonald's. Hobgoblin stopped being British pubs when they introduced US size 'pints'. You can see why the Aussies call us whinging poms. I can't believe there is so much negativity. Surely anything that helps promote the ol' country and includes some possible food pickings is worthwhile. Why are the Hub pubs a sponsor? Because they paid money to sponsor it. It's a fairly straightforward concept. Yeah, you're right. I gave up on the Thai, Vietnamese and other festivals in Tokyo a long time ago. Great idea, but organizers dont care a whit about visitors' comfort. Massively long lines, ridiculous lack of seating, badly cooked food and crowds shoehorned onto a piece of concrete. It's just better to go to a decent restaurant of the same thing. Tokyo's got plenty of great restaurants, but its public events are for masochists. See Hub Pub is getting some grief here. I don't mind the place. Sure it's a hybrid kind of pub, but it's better than some of the alternatives.